SKALD game system developer Scape-IT has just reported that they are currently in “crunch mode” to get a playable demo of the game SKALD: Against the Black Priory ready for their Kickstarter announcement in 10 days time. The latest iteration of the GUI. SKALD is a passion project and I love working on it. For me, publishing a less that awesome product is out of the question. At the same time, NOT publishing is also not an option! This means that I need to be highly disciplined in avoiding feature- and scope creep. 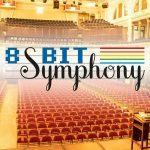 Both in the game itself and in the Kickstarter campaign. 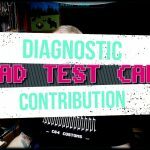 My primary goal is to have the Kickstarter make me break even with expenses and allow me to commission a handful of freelancers for a couple of tasks (music comes to mind). A big upside with developing an RPG is that it’s pretty easy to scale the project up if I get more funding than expected: More professional art, more music, larger dungeons, more dialog and so forth. For rewards I’m tending towards caution. I would love to use feelies for rewards: Maps, booklets, dice – you name it! However this would scale the complexity, and thus the risk, exponentially. SKALD is pretty much a one-man project and any task that takes me away from actually writing code delays the release of the game. Most likely, the rewards will include access to the demo, the finished game and beta access, as well as in-game rewards (a thank you note, your portrait in the game etc). I’m currently setting up a discord server for backers. SKALD will release for windows on Steam first. Other platforms will follow in short order. So what do you think? 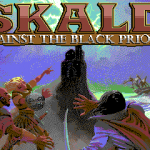 With it’s classic Ultima inspired design do you think SKALD: Against the Black Priory is somthing you would back? 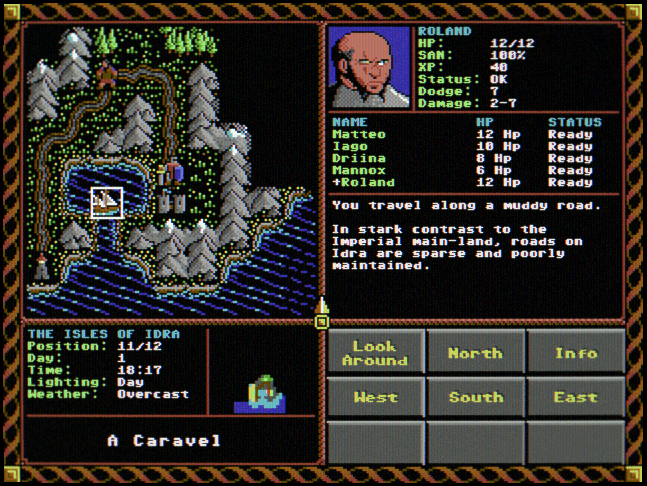 I was just on the phone with Desert-Fox and he told me that he reached out to the developer of SKALD yesterday inquiring about a release of a Commodore 64 version of the game. DF received the following response. I’m so sorry to say, but SKALD is NOT being developed for the Commodore. SKALD is being developed for modern platforms only. The choice of graphical style comes down to a creative, stylistic and logistical constraint. The game lauches (first for PC) then Mac and mobile platforms in 2020. That being said, SKALD is 100% a love-letter to games I grew up with in the 80s (and still love) and I try to let as much of my passion shine through as possible. Hope this isn’t too much of a disappointment and if there’s anything I can do to get you “on board” in cheering SKALD on – let me know! 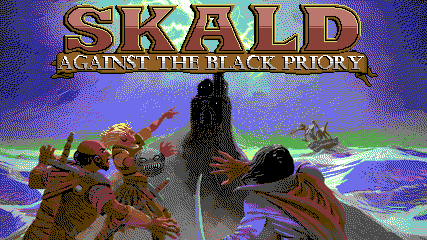 So will the fact that SKALD: Against the Black Priory is not going to be on the C64/C128 platform change your mind to support it? Let us know in the comments.